Get a customized list of Education programs in ECE. Then email several for more information. Your future isn't so far away, after all! 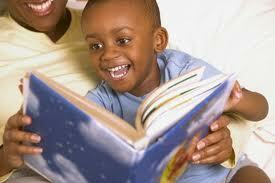 Finding excellent early childhood education degree programs has become increasingly important. After all, early childhood education has been a growing field for many years, and some states (including California, where I live) are strict about education and licensing requirements for people who teach young children. Sound interesting? If the answer is YES, it's time to prepare yourself with an ECE degree. Great news: there are lots of excellent programs for Early Childhood Education professionals. Since requirements vary by state, you'll want to check with the programs you're considering to make sure they fit your needs exactly. Depending on your area of interest, you may need an Associate's Degree (two years of college), a Bachelor's Degree (four years), and/or a Master's Degree/Doctorate in Education. Don't be intimidated by all those degrees -- many educators start with an undergraduate degree and accumulate the other credits slowly. I've compiled some excellent programs here. You can search by location or by area of interest. Visit the links below for information about master's degrees and doctorates in education. It's a new world, isn't it? And it means education is more accessible now than ever before. Link from Early Childhood Education degree programs to my page on master's degrees online. My top 5 questions for prospective students in elementary education. Info about ECE Master's Degrees online is right here.